Electricity is an important part of everyday life and our commitment to using electricity safely is important. The flick of a switch can heat, cool, light, cook, clean and entertain. Electricity is a powerful servant, but can also be dangerous if it isn’t treated with caution and respect. Unfortunately, when an accident does happen, it can be deadly. Educating individuals about the dangers of electricity is imperative. This is especially true for children. At Pioneer Electric, we’re committed to promoting a healthy respect for electricity and teaching individuals to spot potential electrical hazards wherever they may be. 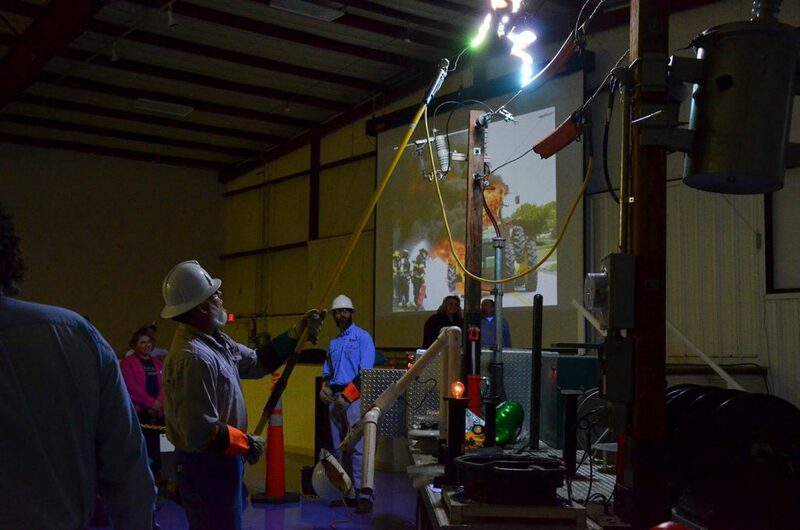 As your electric service provider, we conduct safety demonstrations in schools, farms, businesses and other venues throughout our service territory. These interactive presentations are designed to raise awareness of potential safety hazards. The use of an energized model of electrical poles and lines helps these presentations to be both enlightening and entertaining. Find out more about our safety demonstrations or arrange for a presentation by calling us at (620) 356-1211 or 1-800-794-9302 or email memberservices@pioneerelectric.coop. Another important facet of our commitment to safety is our ongoing investment in safety training for our employees. We work hard to ensure that our employee training programs meet the highest OSHA (Occupational Safety and Health Organization) standards. We also want all of our members and consumers to be safe when dealing with electricity, whether it is when working near power lines or just encountering it during the course of your day. From farmers to life guards, it is important that everyone treat electricity with respect and have the knowledge to stay safe. The following links will provide more detailed information on how to safely work and live around electricity. You don’t always need wires to make a complete circuit. For example, there is a circuit formed between a storm cloud and the Earth when lightning strikes. The air is acting as a conductor in the circuit in this circumstance. Normally air does not conduct electricity. However, if there is a big enough electrical charge in the cloud, it can cause the air to act as a conductor, working like an invisible cable linking the cloud above and the Earth below ‐ completing the circuit. The same thing happens in an arc flash. An arc flash is where electricity leaves its intended path and travels through the air, with little resistance, from one conductor to another, or to ground. The results are often violent and when a human is in close proximity; serious injury or even death can occur. An arc flash can be caused by many things: dust, dropping tools, accidental touching, condensation, material failure, corrosion and faulty installation to name a few. Because of the violent nature of an arc flash exposure when an employee is injured, the injury is serious – even resulting in death. It’s not uncommon for an injured person to never regain their past quality of life. Extended medical care is often required and remember —even if you are the only one injured, you will not be the only one to deal with the aftermath. Family members, spouses and coworkers are all affected by an accident of this magnitude and lives can be changed forever. If you are near an arc flash accident and see someone who is injured, don’t follow your instincts to rush in and save them. You might set off another arc flash and be killed. You will not be able to help if you are dead. What you should do is get help right away. The time it takes for a critically injured person to get help is crucial in helping them survive the accident. Let other workers know about the accident and get someone to call 911. If you are not trained in giving medical attention, do not try. Wait until someone who is trained shows up to help. If you are the one who is injured in an arc flash accident, try to get away and get help immediately. What will most likely happen is that you will automatically try to get away if you are still conscious and will probably not remember much. Also, stay calm. Hopefully you will be wearing the right protective clothing and the proper personal protective equipment. If not, you might be in the 95 percentile of all accidents that could have been prevented by working safely and wearing the right protection. The best way to keep from getting shocked is to stay away from electrical shock hazards. Obviously you should never work on live or energized electrical equipment, not only because it is dangerous, but also because you are not qualified to work on the equipment. Another hazard involves live electrical wires in the wrong place. If you see wires lying on the ground, do not go near them and call Pioneer Electric immediately. Since you will often have to work near electric panels, make sure to never open them. Opening the panel increases the chances of getting shocked or setting off an arc flash. Another hazard is water. Although sometimes it may be unavoidable, try to never work in wet areas that are near electrical equipment. Keeping your work area clean and organized can help you spot electrical hazards that you might otherwise miss in a messy work area. Even when you are not working around high voltage equipment or electrical panel boxes, shock hazards still exist. Damaged outlets should never be used. If you see a damaged outlet or suspect an outlet might be damaged, stop using it and notify a professional. The same goes for cords and plugs. If you see an electrical cord that looks worn out, it might have exposed wires. Also plugs that are damaged might not be properly grounded, increasing the chances of getting shocked. Another possible hazard is having too many items plugged into the same outlet or on the same circuit breaker. Most often, the circuit breaker will safely open the circuit, but the sudden loss of electricity to electrical equipment could still cause injuries. Above all, just stay alert. Assume that all equipment is fully energized with electricity. 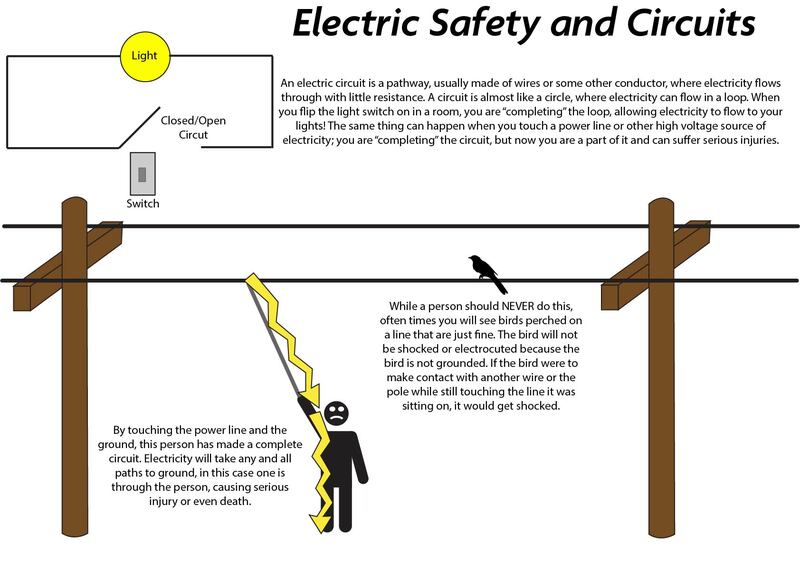 Do not think that just because someone is working around an electrical hazard that they have deenergized the equipment. Always be on the lookout for hazards, whether they are labeled or not, and be prepared to stop working, protect those around you, and get help to take care of the situation as fast and as safely as you can. While items like wood, rubber, PVC pipe and rope may be considered insulators, the presence of any moisture, dirt, grease and other substances on these objects can quickly turn them into conductors. Even if you think you have an insulated material, you should not attempt to adjust, move or fix a power line. The risk/reward is far too great and one misstep could cost you or someone else their life. Call Pioneer Electric so measures can be taken to safely deal with the situation.